What is the best solution on MatterTag videos? For example, I am uploading very short videos to Youtube.. to imbed inside the tours. However, when click on the MatterTag, it opens the ugly red youtube movie frame, then you have to click again.. to play.. and worst.. at the end of the 10 second clip, you then have ugly ads or even a monatization ad.. And Vimeo is not all that great either..
Any suggestions? What are our options? Hey Glenn, what if you use vimeo to host your videos? It wouldn't recognize the url when I tried it. Am I doing something wrong? When I check the boxes like you said in the video and then copy and paste the link in the url box on the matterport workshop page, it tells me this: "We aren't able to find the media. Please make sure the url is correct." @DanSmigrod is the vimeo master so maybe he can advise. If not I will try to get something to you by tomorrow night. Sorry for my late reply. Wasn't by computer all day. I will have to play with this. @Metroplex360 might be able to answer this better but if he doesn't I will try to have an answer late monday night. I have a personal matter that is taking me away from being around like I normally am. We Get Around Network uses both YouTube (our channel) and Vimeo (our channel). WGAN uses YouTube because it is the second most used search engine. So, we want our videos - WGAN-TV - to be discovered in YouTube search. We also use YouTube for live streaming WGAN-TV (and embed the player in the WGAN Forum). WGAN uses Vimeo (paid account) because we have a ton of control over nearly 1,000 of our videos are displayed and used. All WGAN-TV Live at 5 shows are saved in the WGAN Training Academy Library (using Vimeo). @GlennTremain like @Queen_City_3D says. Learned a lot from your videos! Much thanks for doing these mini-tutorials. 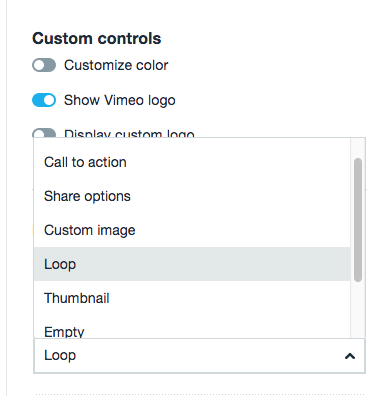 We Vimeo because of all the ways that we can control how our videos are displayed and used. That said, I probably barely take advantage of all the possibilities with Vimeo. P.S. Want to know when WGAN-TV goes live? Subscribe to the WGAN-TV (Dan Smigrod) YouTube Channel and select the "bell" to alert.